We offer a variety of pool liners to suit any need, ranging from small domestic pools to larger commercial pools. All our liners are produced by one of the three biggest manufacturers in the UK - Certikin, Plastica and Aquaflex. Each liner is manufactured with the finest raw materials and the latest technology available. This allows the liners to be impregnated with algicide/anti-microbial bodies and coated with a protective lacquer to ensure they are longer lasting and harder wearing. For domestic pools, we also make sure the thickest liner available (currently 0.75mm) is selected for durability and lifespan. Most liners last 10 years based on water temperature (around 29-30°C), and correct water balance is maintained as recommended by SPATA. A higher temperature or incorrect pH balance will reduce the lifespan of any pool liner. Heavy duty liners for large or commercial pools last longer. All pools are fitted with a felt underlay before the lining is placed, increasing comfort and the lifespan of the lining. A wide range of patterns and colour combinations are available. The selections allow for the option to mix and match designs so you can choose different border, wall and floor designs, or just choose a plain and simple liner. Please note that the more complex patterns may not match at the seams/cut edges due to high stretch factors, pattern complexity and cutting techniques. Please note that prefabricated liners are made undersize to allow for a crease-free stretch fit. 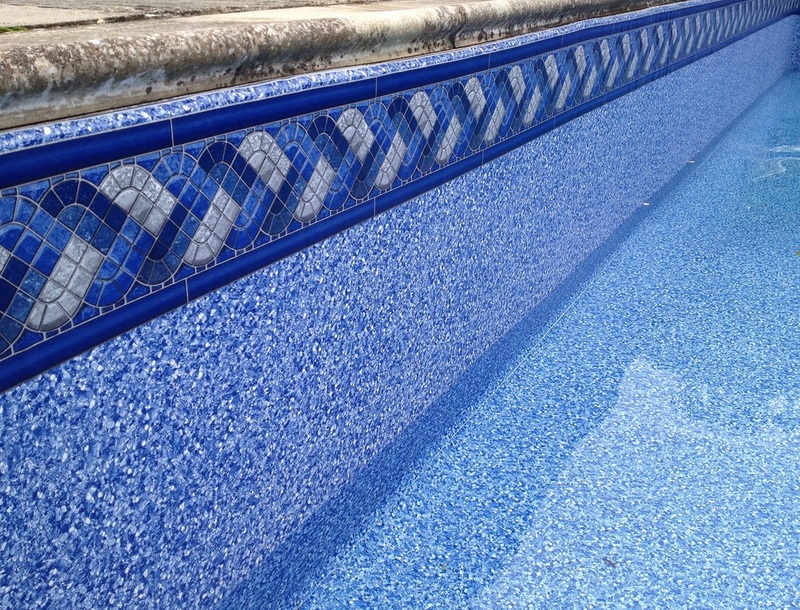 With rectangular pools this can cause the liner to stand away from the pool walls in the corners, especially near the water surface and above.